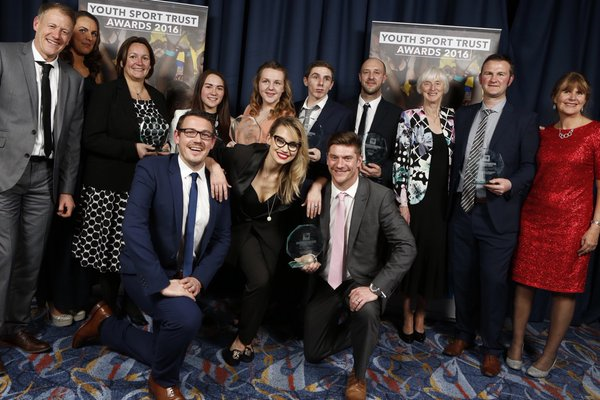 Clare Mount has been named School of the Year for Inclusion by the Youth Sport Trust at a recent Awards Dinner in Coventry. 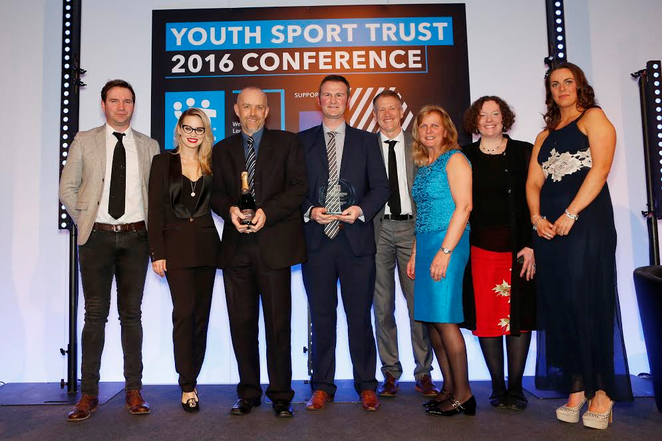 The Awards are part of the National Conference in Coventry and Clare Mount was recognised for it's outstanding work in training teachers and other stakeholders in inclusive PE practice, as well as leading on Unified Play, a Wheelchair sport and Watersport Hub, and promoting inclusive School Games formats amongst other things. 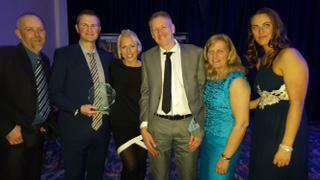 Mr Stanley (Head of Curriculum PE), Mr White (Lead for Inclusion School), Miss Green (School Games Organiser), Mr Keefe (Deputy Head and Director of Sport) and Mrs Webster (Headteacher and YST Headteacher Ambassador) attended the Awards Evening and are pictured below with Olympic Silver Medallist Gail Emms. 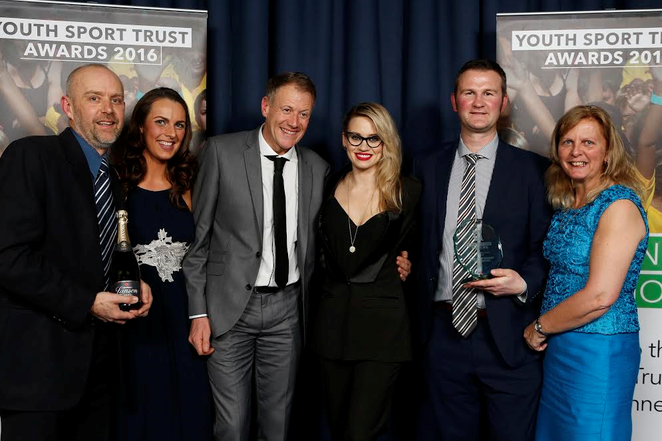 Reeve in Year 8 was also runner up at the Awards as Student of the Year for Resilience, as well as Bebington High who also won School of the Year for Health and Well-being, completing a wonderful night for Wirral.